1. Use pictures whenever possible, especially images from your summer meals programs. 2. Engage community and faith-based organizations, local government, the school district and others to post on their social media networks. Share our sample posts and pictures with them. 3. Use social networks to promote kick-off and other events. 4. Share videos, photos and other content with your online network and organizations you are partnering with. 5. Consider buying Facebook ads to attract kids and parents to learn more about summer meals. Be sure to promote site locations. 1. Link to a web page with site locations, meals served and times meals are served. 2. Have your meals sites post pictures and messages regularly on their social media networks. 3. Post menus and other items of interest on a regular basis. Remember to add pics of kids eating and having fun! Free food, friends and fun! Kids and teens can get FREE meals all summer long at sites across New Jersey. For locations, text “summer meals” to 97779, visit https://www.fns.usda.gov/summerfoodrocks or email SFSPCommunication@ag.state.nj.us. #njsummermeals. School’s out but food, friends and fun are still in! Kids and teens can get FREE healthy meals during the summer in a fun, safe place. For locations, text “summer meals” to 97779, visit https://www.fns.usda.gov/summerfoodrocks or email SFSPCommunication@ag.state.nj.us. #njsummermeals. FREE food, friends and fun! Many sites in the community offer fun learning and recreational activities so kids and teens can eat a healthy, free meal while staying active and spending time with friends. For locations, text “summer meals” to 97779, visit https://www.fns.usda.gov/summerfoodrocks or email SFSPCommunication@ag.state.nj.us. #njsummermeals. Don’t let summer be the hungriest time of the year. Healthy summer meals may be available in your neighborhood. For locations, text “summer meals” to 97779, visit https://www.fns.usda.gov/summerfoodrocks or email SFSPCommunication@ag.state.nj.us. #njsummermeals. Kids and teens can stay active and eat right this summer! 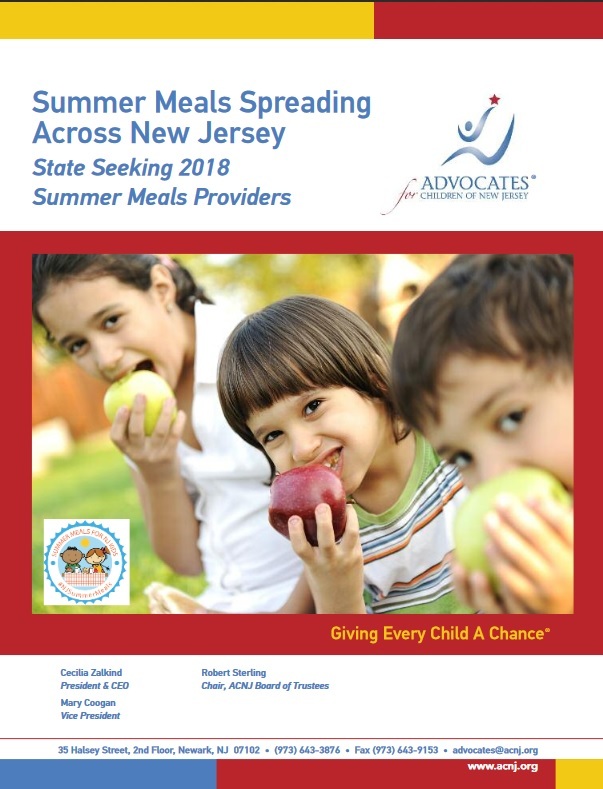 FREE summer meals that follow USDA nutrition guidelines are available in communities across NJ. For locations, text “summer meals” to 97779, visit https://www.fns.usda.gov/summerfoodrocks or email SFSPCommunication@ag.state.nj.us. #njsummermeals. FREE summer meals are no hassle! Parents don’t need to apply. Just bring your child to a safe summer meals site. Free summer meals help stretch tight family budgets. For locations, text “summer meals” to 97779, visit https://www.fns.usda.gov/summerfoodrocks or email SFSPCommunication@ag.state.nj.us. #njsummermeals. @USDA funds #free #njsummermeals 4 kids & teens! For locations, text “summer meals” to 97779, visit https://www.fns.usda.gov/summerfoodrocks or email SFSPCommunication@ag.state.nj.us. #njsummermeals. #Free #njsummermeals help make sure kids & teens get food they need 2 stay healthy in the summer. For locations, text “summer meals” to 97779, visit https://www.fns.usda.gov/summerfoodrocks or email SFSPCommunication@ag.state.nj.us. #njsummermeals. Studies show that kids are at higher risk for both hunger and obesity during the summer months. Summer meals combat both. For locations, text “summer meals” to 97779, visit https://www.fns.usda.gov/summerfoodrocks or email SFSPCommunication@ag.state.nj.us. #njsummermeals. 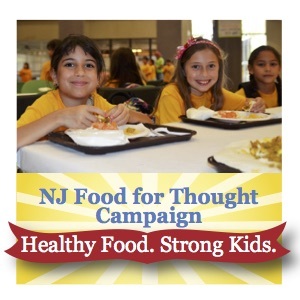 Many #free #NJSummerMeals sites offer educational/recreational activities for kids of all ages. For locations, text “summer meals” to 97779, visit https://www.fns.usda.gov/summerfoodrocks or email SFSPCommunication@ag.state.nj.us. #njsummermeals. Healthy meals = healthy kids. Make sure kids in your community know where to find #SummerMeals. For locations, text “summer meals” to 97779, visit https://www.fns.usda.gov/summerfoodrocks or email SFSPCommunication@ag.state.nj.us. #njsummermeals.